2 Private Boat Charters, Propane, Linens, Bath Robes, Gas Grill, Propane Stove Heater, Rain Harvest Shower, Tissue Paper, Towels, Dishes, Utensils, Grilling Tools, Dish Washing Items, Fire Pit, Whole 40 Acre island to yourself exclusively. $99 fee after 2 people. Sunscreen, boots, bug spray, cooler with food and drinks. Recieve a full refund if you cancel with 60 days prior notice. Reviece a 50% refund if you cancel with 30 day prior notice. Pets are allowed with a screening, hold harmless and $100. When you book your reservation, Little Raccoon Key will send you directions regarding the appropriate boat launch for your departure. You will arrive and park at the designated boat launch, and you will board the boat on Jekyll Island. Your LRK experience will include an onboard marine history and biology tour to and from the island. Little Raccoon Key is about a 20 minute boat ride from Jekyll Island, and it is a beautiful ride. During this trip, you can see St. Simons Island, Jekyll Island, Cumberland Island, & the gorgeous Sydney Lanier Bridge. The waters between Little Raccoon Key and Jekyll Island are teeming with wildlife, and it is common to see large pods of Dolphin swimming by the island or Pelicans diving into the water to catch fish. Be sure to have your camera ready! This is a 100% exclusive private island, meaning you have a whole 40 Acre island to yourself. No other campers or glampers to bug you. Little Raccoon Key is a reef island off the coast of Georgia, and part of the Golden Isles of Georgia. The abundant marine, land, and bird life makes the unspoiled island one-of-a-kind. 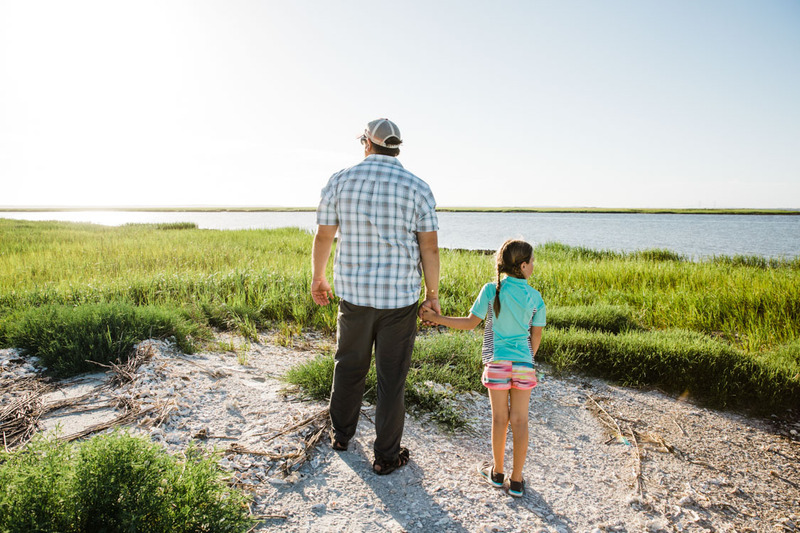 From the island’s rich history involves Timucua/Guale natives, French, Spanish, and English Explorations, and now modern-day ecotourism and conservation efforts. While glamping at Little Raccoon Key, you will likely see Dolphins, many species of birds, and a variety of plant life on the island. You can watch the sunrise over the Golden Isles with a cup of coffee or tea in hand, relax in a hammock while reading a book, or get some sun on the loungers. Whether you are first time glampers, seasoned nature enthusiasts, or a fun couple looking for a new experience, come and enjoy true relaxation and rest at Little Raccoon Key. Your host only accommodates 1 overnight reservation at a time, so you can be assured that you will be the only one on the private island each night. Little Raccoon Key is only 10 minutes away from Jekyll Island, so you will still likely have cellular service should you need to reach out to the Little Raccoon Key staff during your stay. The accommodation will include a 26 X 15-foot Luxury Canvas Tent. This tent is all-weather-proof, so you don’t have to worry about getting wet if an afternoon shower comes in from the ocean! Ditch the sleeping bags for a comfortable memory foam mattress and fresh designer sheets. Your tent will be equipped with the appropriate linens for the weather (cooler sheets in the Spring/Summer & warmer sheets in the Fall/Winter). A gas grill is provided, so that you can cook your meals while on the island. You can also utilize this grill to warm up your coffee and tea kettle. Propane tanks will be provided. Although you are provided with a cooler for fresh ice, it is recommended that you bring a cooler for your food. Harris Teeter (located on St. Simons Island) offers online ordering and pickup services. Upon Request, we will have these delivered to the boat before your departure; however, please let us know if you plan to utilize these services so that we can make the necessary arrangements. If you plan to pick up your own groceries before arriving, Winn-Dixie Grocery is conveniently located a few miles before you turn on the Jekyll Island Causeway (6.3 miles if you are approaching from the South and 4.4 miles if you are approaching from the North). Little Raccoon Key is the perfect "off-the-beaten-path" experience for those who are visiting the Golden Isles for weddings, family, and events.